McQ Alexander McQueen mixed media dress. For in-store inquiries, use sku #2436222. Eskandar cotton poplin shirt. Layered spread collar. Button front. Dropped shoulders. Long sleeves. Slim, A-line silhouette. Oversized fit. Imported of Italian materials. Model's measurements: Height 5'10"/177cm, bust 32"/81cm, waist 24.5"/62cm, hips 36"/91cm, dress size US 2/4. 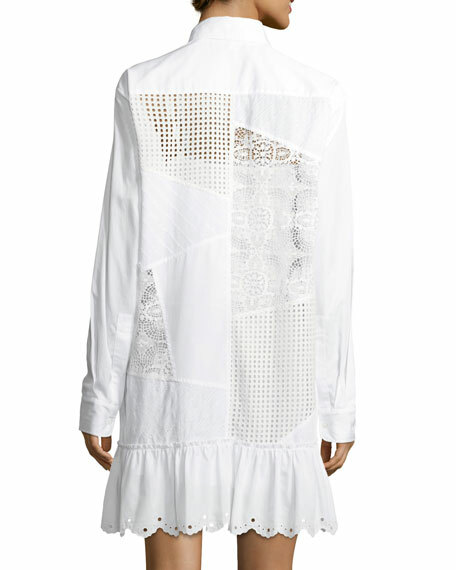 Etoile Isabel Marant "Milena" dress in cotton. 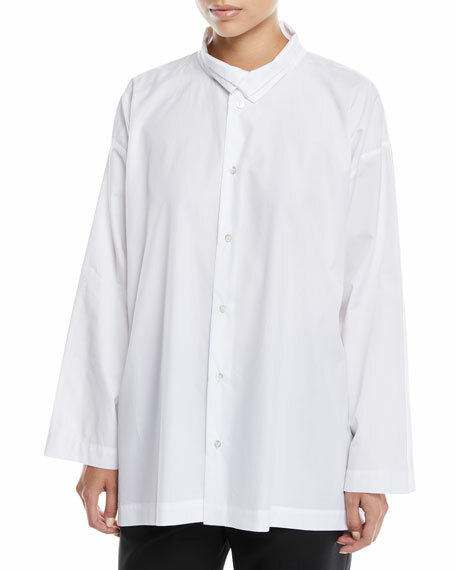 High neckline; button front placket. Long sleeves; button cuffs. Shift silhouette. Side pockets. Yoked back; box pleat. Mini length. Cotton. Imported. 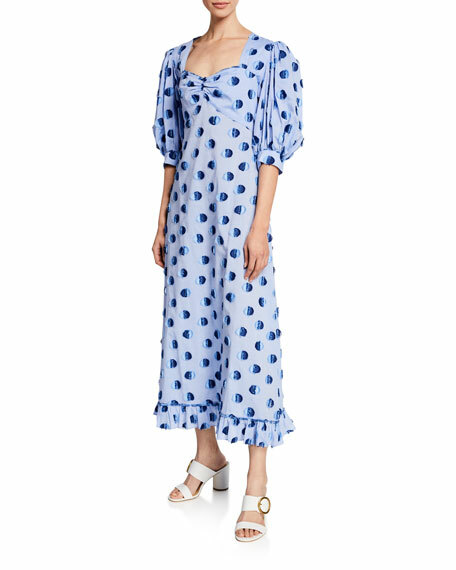 Evi Grintela "Vanessa" dress with polka dots. Sweetheart neckline. Three-quarter puff sleeves. A-line silhouette. Hidden back zip. Ruffled hem. Italian cotton. Made in Greece of Italian material.